Submitted by via Hayle Town ... on Fri, 14/09/2018 - 00:00. Hayle proposes a solution to Cornwall Council boundary dispute and we need your support now! 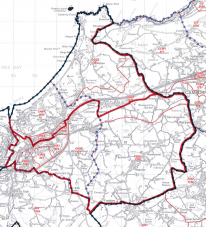 Hayle Town Council has revised its submission to the boundary commission with regard to the Cornwall Council ward boundaries. 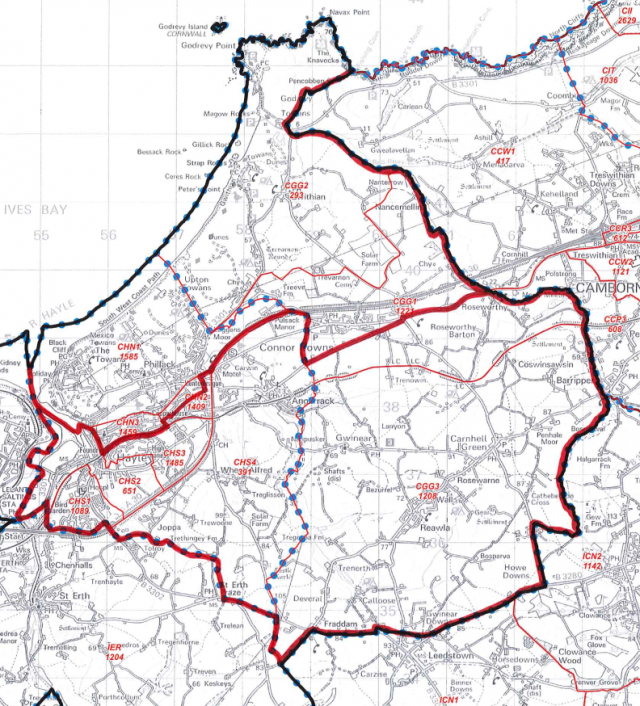 The council opposes the current proposal by the boundary commission which would see the creation of a small ward covering much of Hayle and a larger one covering Gwinear-Gwithian and eastern Hayle, arguing that it would split the area’s largest town into two and leave an unmanageably huge area for the councillor covering Gwinear-Gwithian to cover. This, argues Mayor Clive Polkinghorne, would leave large numbers of people bereft of effective representation on Cornwall Council. Hayle Town Council has now revised its original proposal to split the area on North-South lines to enable Connor Downs to remain in a single ward, with Hayle North/Gwithian having 5,338 people and Hayle South/Gwinear 5,453. Hayle Town Council has written to the Boundary Commission with this revised proposal. Mayor of Hayle Clive Polkinghorne says: “The people of Hayle are strongly opposed to the Boundary Commission’s plans to effectively split the town into two. We are very aware of the strong feelings of people in Connor Downs who also want a single councillor representing them and we have revised our proposal to accommodate that. The consultation closes on Monday 17 September – in order for your voice to be heard, we urge you to respond to it. If enough of you respond demanding that it is critical that Hayle Town Council’s proposal is adopted, we can hope to ensure not only that everyone receives effective representation at Cornwall Council level, but also that it is less likely that in the future Hayle Town Council’s boundaries will be split and communities divided. It is absolutely critical to the long-term future of Hayle and the surrounding areas. Please respond to the Boundary Commission and say you SUPPORT THE HAYLE TOWN COUNCIL PROPOSAL as a more logical, fair, and representative proposal. The Boundary Commission is the main target (by September) but if people can also copy in matthew.stokes@cornwall.gov.uk (or by writing to Matthew Stokes, Electoral Services Manager, County Hall, Treyew Road, Cornwall) it will be very helpful. If you would like a template copy of a letter outlining the main objections and alternative proposal you can download one here. Please don’t forget to add your name and address to the letter before you send/email it!